The sequel to last year’s huge box office smash has had several possible titles rise to the surface, after a handful of different website domains were registered. But now DCEU creative chief Geoff Johns has dropped a big hint over both the setting and name of the Gal Gadot-fronted blockbuster. Yesterday he posted the first teaser of the film: just a still image, text on a black ground, saying only “WW84”. It hints perhaps at a Cold War setting, and could even allude to a potential title. Indeed, wonderwoman1984.com was one of the many domains snapped up earlier this year. But given that similar domains covering every year of the 1980s were also registered, it’s still something of a swing in the dark. 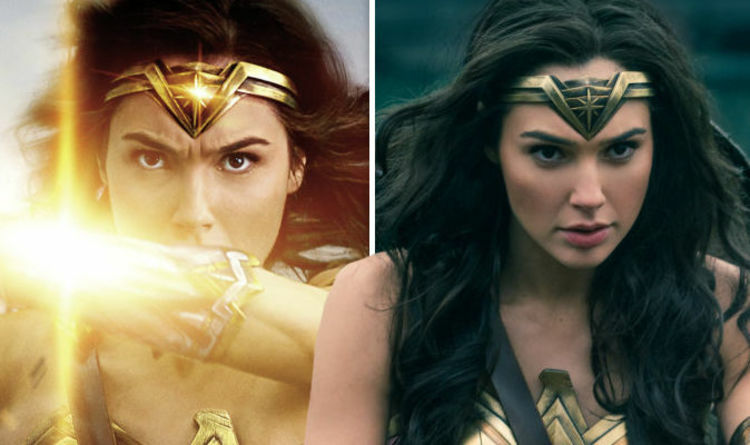 Other potential titles, according to the registered domains, included Wonder Woman Arrives, Wonder Woman: Cheetah, Wonder Woman Lives, Wonder Woman: Minerva, Wonder Woman Part 2, Wonder Woman Part II, Wonder Woman Returns and Wonder Woman Rises. So although we can perhaps take it as given that 1984 will play some kind of integral part in the story, it may be a little early to start guessing at titles. We’re still a while away from the film being released: Patty Jenkins’ sequel to her record-shattering Wonder Woman movie last year is not due until the tail end of 2019. Kristen Wiig is among the stars joining the line-up; in the role of Cheetah. She confirmed on Twitter in March: “So excited to confirm the most thrilling news. “Yes! It’s true! So incredibly lucky to welcome the sensationally talented Kristen Wiig to our Wonder Woman family. Wonder Woman remains the only clear-cut success of the current DCEU era, with Justice League failing to meet expectations late last year. Wonder Woman 2 is out on November 1, 2019.